Some of the most interesting and challenging Warhammer Quest Monsters, Chaos Dwarfs have long been out of production by Games Workshop. So where do you get some Chaos Dwarf models to fall beneath the blade of your noble/blood thirsty Warriors in games of Warhammer Quest? 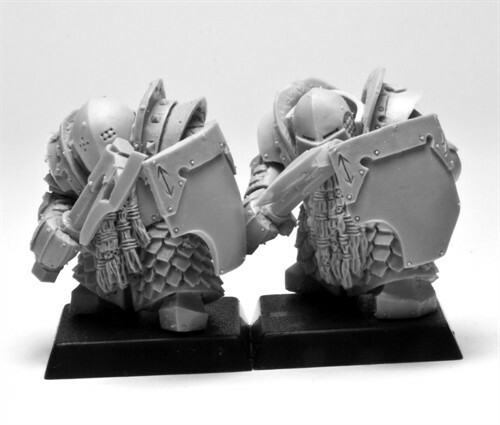 The most official Games Workshop / Citadel miniatures available in bulk are the new Forge World Chaos Dwarf line, including some fantastic looking Infernal Guard (Chaos Dwarf Warriors with creepy helmets and hand weapons) as well as some more with Fireglaives – spectacular halberds with repeating handguns built into them. Keep your eye on this range, as I am sure it will grow some more. 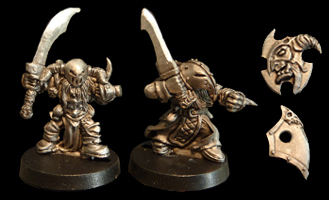 Mantic have recently launched an entire range of Abyssal Dwarfs (formerly know as Khaos Dwarfs). The range is relatively cheap and comes with a variety of unit types, including good proxies for the Chaos Dwarf Warriors and Warrior with Blunderbusses. Their concept art promises something called a ‘half breed’, a fine substitute for a Bull Centaur! 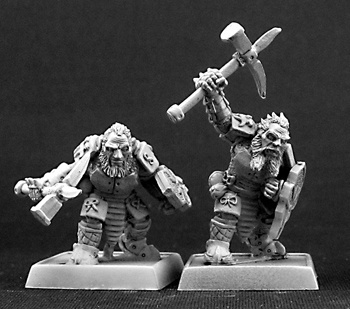 Scibor Miniatures do a range of Moscal Dwarfs, again these have their own ‘feel’ to them but would serve as excellent proxies for Chaos Dwarf Warriors and characters, or even the starting point for some conversion work. Of particular note is the Moscal General on War Bull, a superb proxy for a Lammasu! 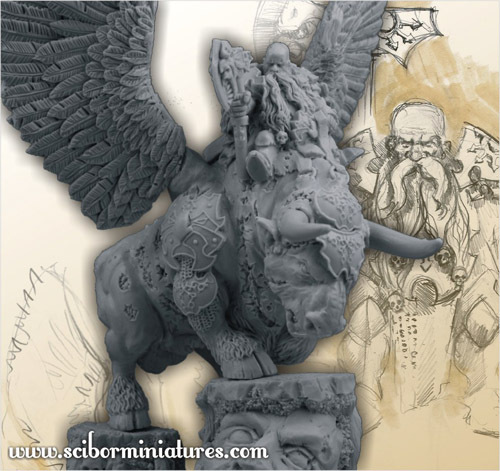 The Bederken Dwerg range was also provided in the comments of this page, they have an excellent range of ‘old school’ Chaos Dwarfs in the style of the very old Citadel Miniatures. Reaper Miniatures does a line of Dark Dwarfs. Depending on where you live in the world, you may struggle to find an outlet for this U.S.-based company, but some of their miniatures are simply lovely. A good source of all kinds of Warriors and Monsters! 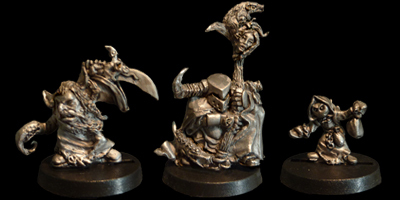 Avatars of War also sell a nice proxy for a Chaos Dwarf Lord. 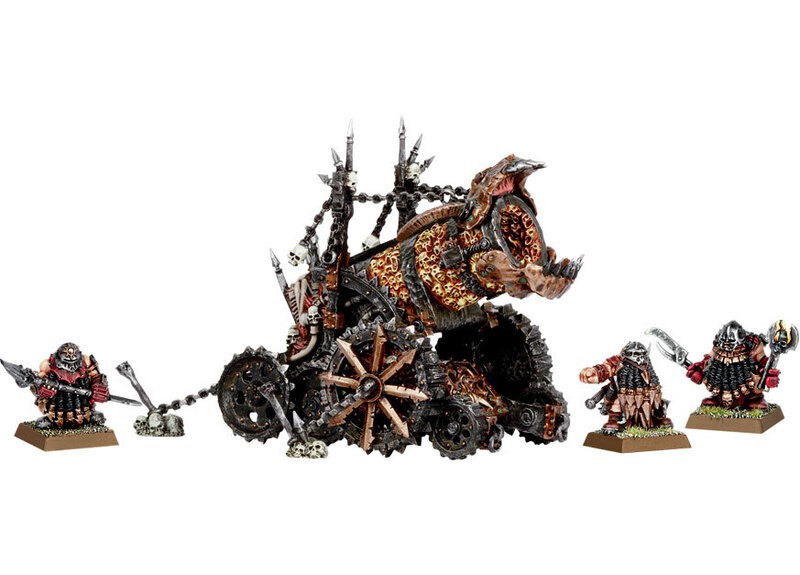 Games Workshop stock a ‘Hellcannon‘ for their Warrior of Chaos army that comes with three Chaos Dwarf engineers – the only official Chaos Dwarf models still produced by Games Workshop. 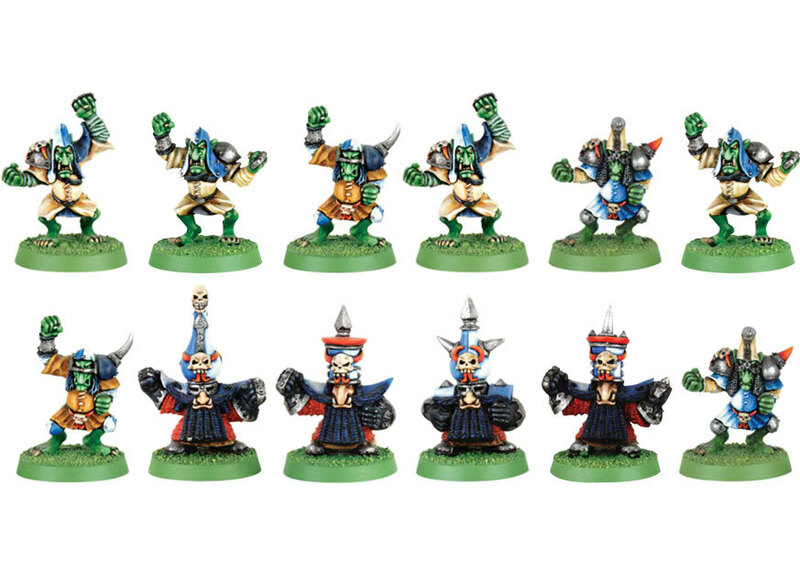 Games Workshop also have a Chaos Dwarf team for their Blood Bowl fantasy football games. 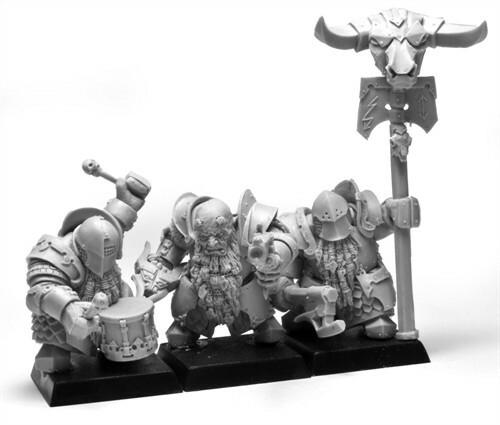 This set contains a few Chaos Dwarf Warriors but is very pricey. 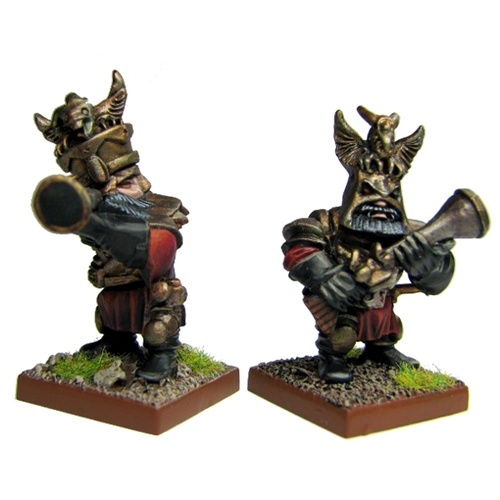 Ebay – search for Chaos Dwarf and there are usually a few results, although buying Chaos Dwarfs this way is pricey as they are still quite popular – despite being out of production for so long. There are some excellent guides to converting Chaos Dwarf models by the Chaos Dwarf fanatics down at Chaos Dwarfs Online forums and Wiki. Lots of background material here as well. Spikey Bitz – as Ausphexx mentions in the Comments, you could do a lot worse that using the standard Games Workshop plastic Dwarf Warriors and adding parts from ‘spikey’ kits like the 40k Dark Eldar, 40k Chaos Space Marines, Fantasy Warriors of Chaos and even Dark Elf lines to give them a more ‘Chaotic’ feel. 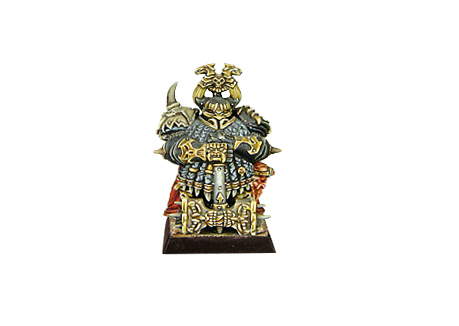 Got a link to a good range of Chaos Dwarf models, articles on converting your own Chaos Dwarfs for Warhammer Quest, or pictures of your own painted models or conversions? Contact us to share them! 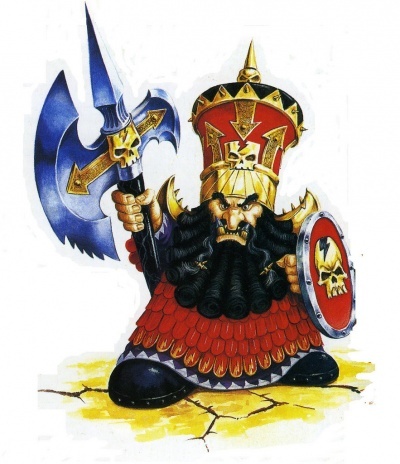 Some Chaos Dwarf artwork by Games Workshop. Blood Bowl Chaos Dwarf Team by Games Workshop. Has a few Chaos Dwarf Warriors in. 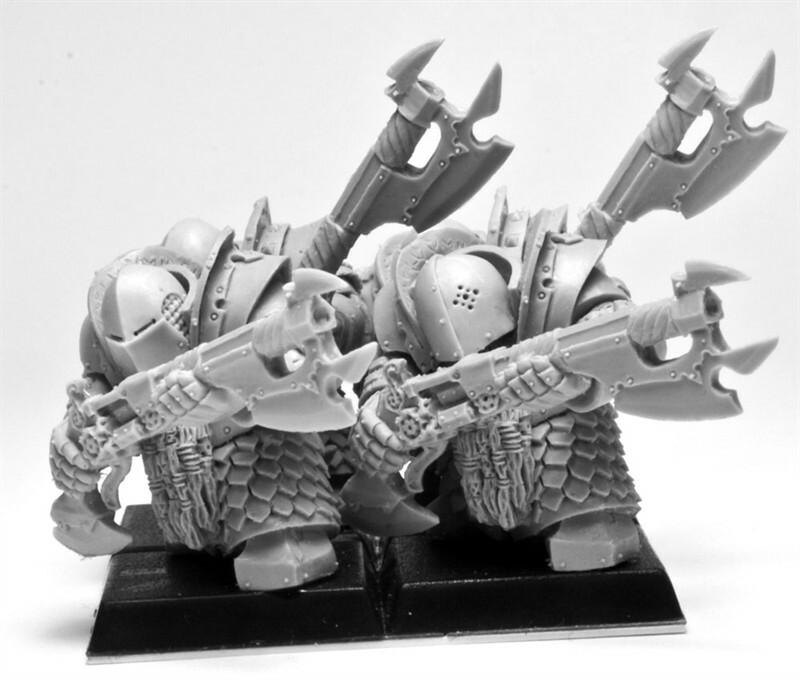 The three Chaos Dwarf Hell Cannon crew marked a change in style for Games Workshop’s Chaos Dwarfrange, and remain the only current Chaos Dwarf models. 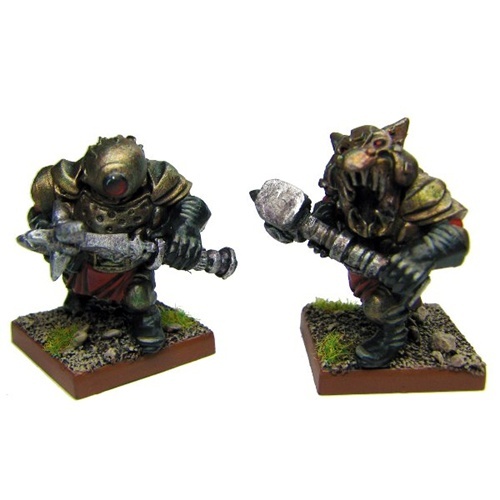 Abyssal Dwarf Black Souls by Mantic games, useful as proxies for standard Chaos Dwarf Warriors. 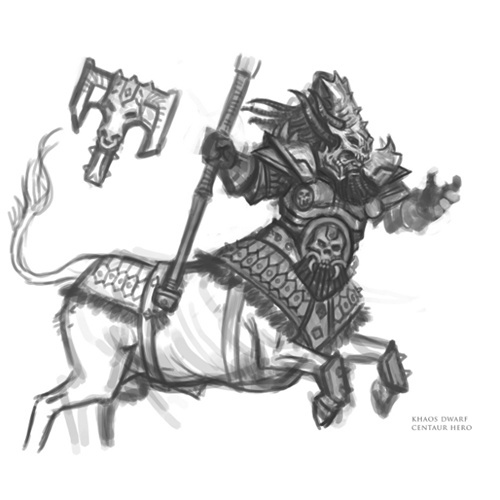 Concept Art of a Chaos Dwarf Bull Centaur / Abyssal Dwarf Halfbreed by Mantic Games, promising to be a useful proxy for a Chaos Dwarf Bull Centaur when they go on general sale. 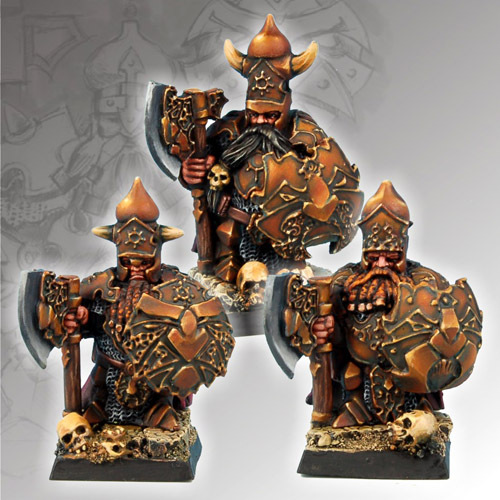 Dark Dwarf Warriors by Reaper, potential proxy models for Chaos Dwarf Warriors in Warhammer Quest. 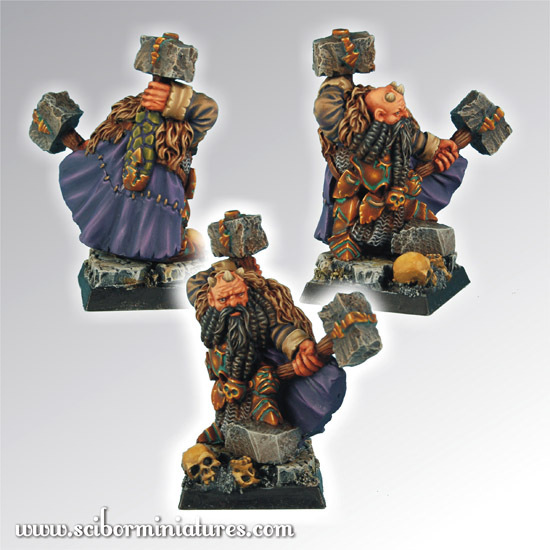 A Dark Dwarf Captain by Reaper Miniatures, a possible proxy model for Chaos Dwarf Chapions and Lords in Warhammer Quest. A painted Dwarf Lord Of Chaos, by Avatars Of War. 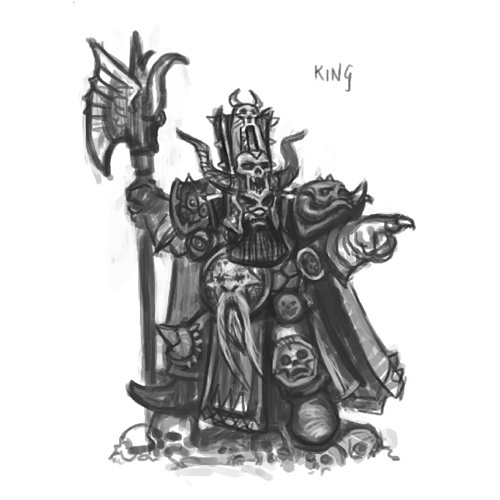 A very good proxy for a Chaos Dwarf Lord. 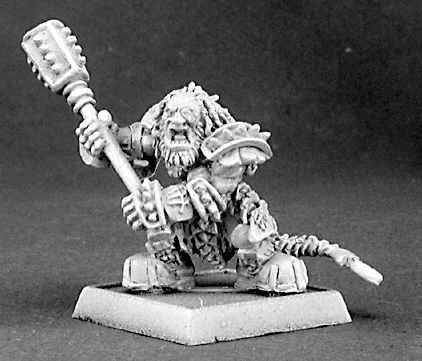 ForgeWorld Chaos Dwarf Infernal Guard with Fireglaives useful Chaos Dwarf Blunderbuss proxies, or the the inspiration for some new CD Quest rules?